Well, the BIG day finally arrived...Destin's 1st Day of Preschool! After months of waiting, and asking/answering questions about what to expect (from both me & Destin), it finally came today!! We had a very long night of NO sleep the night before, as Destin said that she had a headache...but in the morning, she woke bright and early (at 6:30 am) and watched some cartoons, ate breakfast, got dressed, fixed her hair, took pics and we were all ready to go. Waiting her turn to put her clip on the bucket, with her name on it. I hope to get one of her and her teacher later this week, and maybe some with her new friends in the near future. I am so incredibly excited for her!! Oh, and no tears were shed - except for baby sister, Arwen cried the whole way home because she wanted "her Destin". 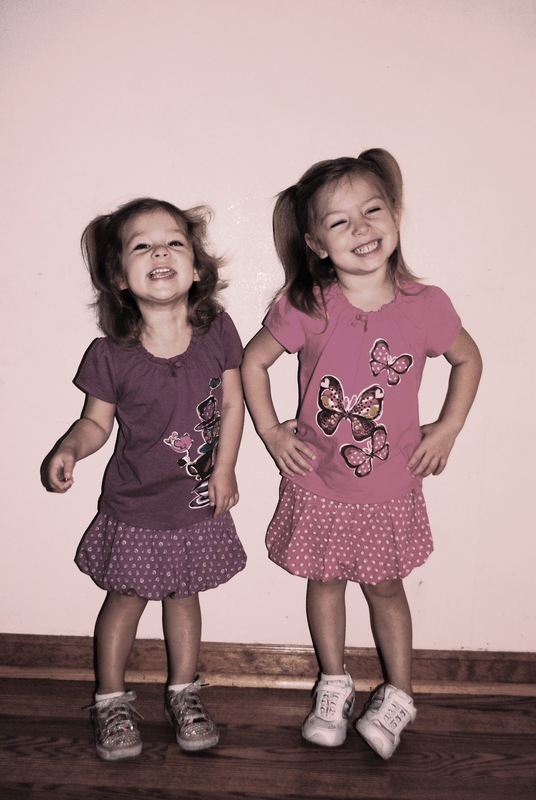 Its hard to believe that our girls could actually be a year apart in school if we wanted! Until next time, take care and look for more posts in the near future!